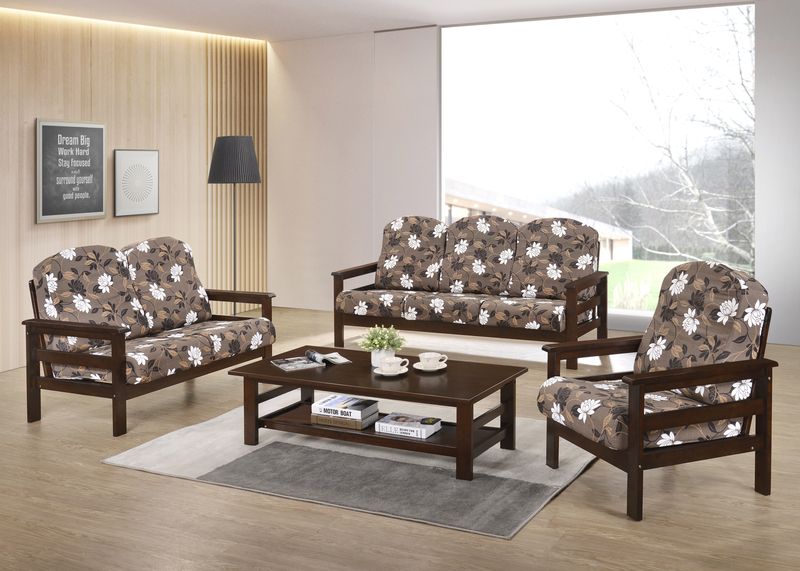 Material : Solid Wood Frame, Polyester Fabric. 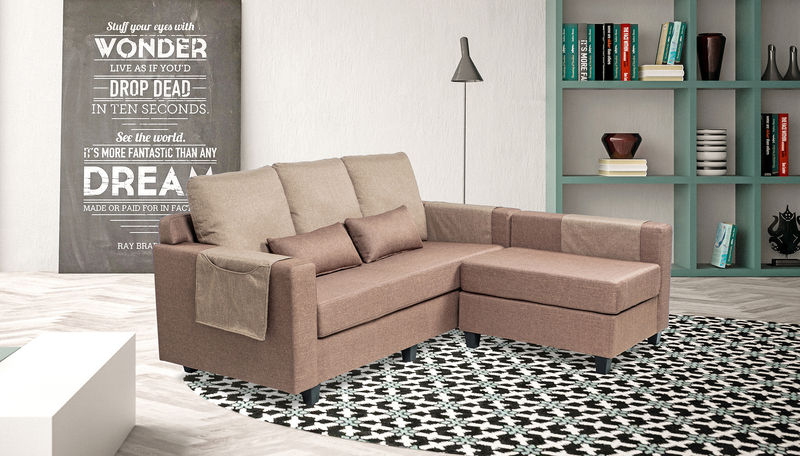 Wooden Sofa with 21" Cushion, Coffee Table and Side Table. 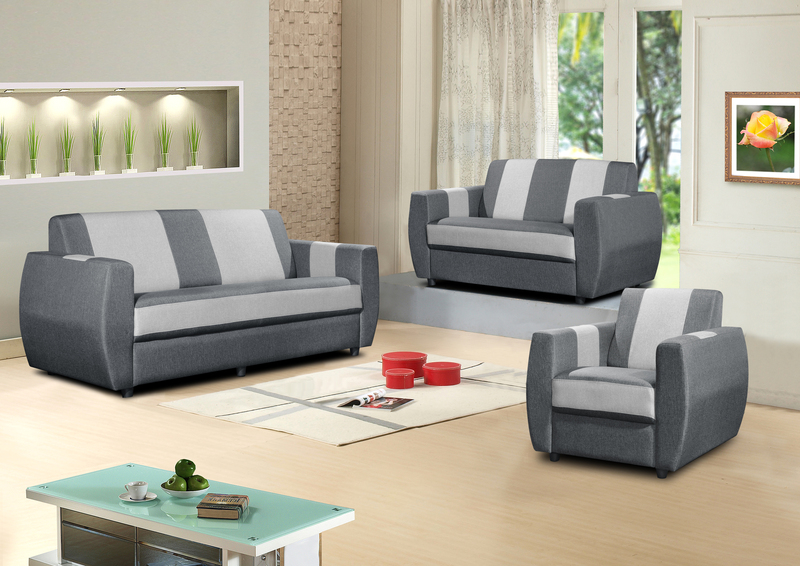 Full Fabric Sofa Set with 4 Small Pillow. Dimension :L1080(1), L1500(2), L2000(3) x D960 x T1000. 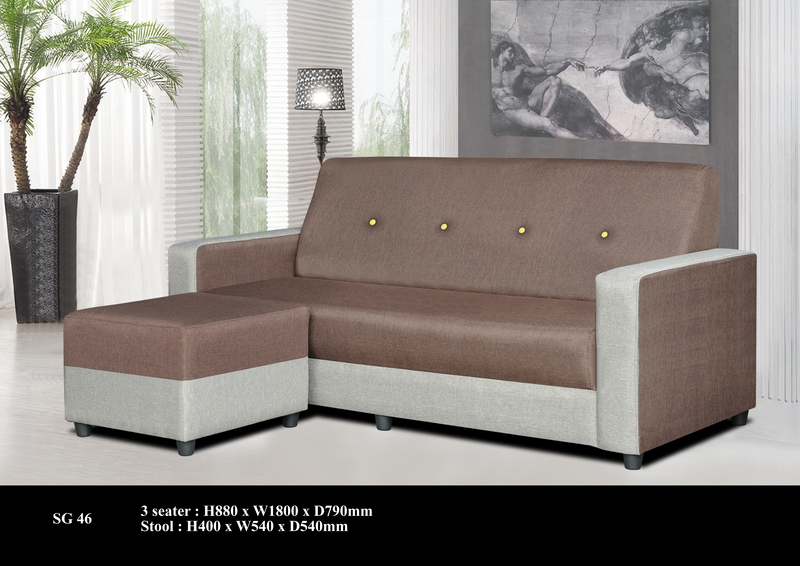 MI 98 108 Material : Solid Wood Frame, Jacquard & Polyester Fabric. 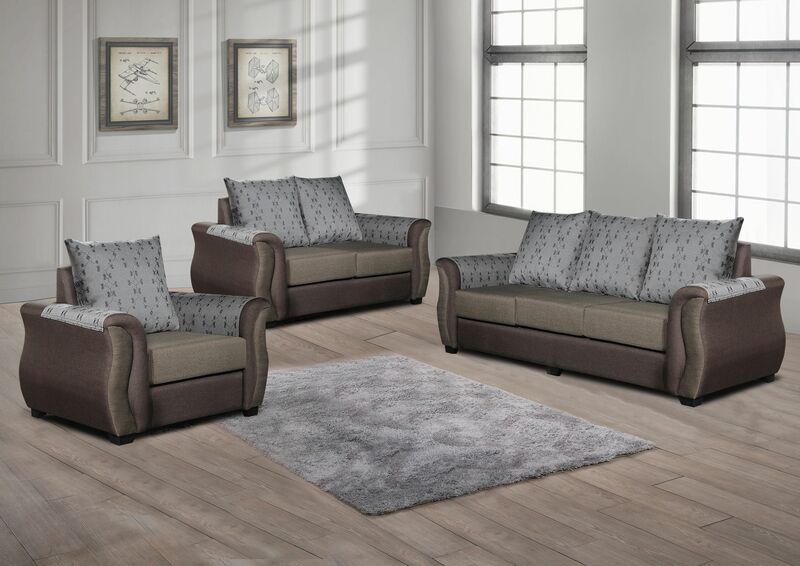 Chair : L1740(3),L1205(2),L675(1) x D690 x T775. 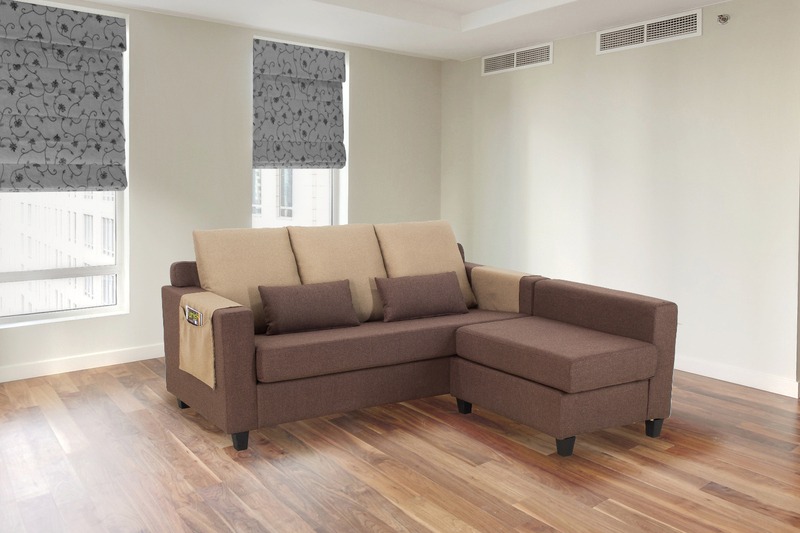 Material : Solid Wood Frame, Water Resistance Polyester Fabric. 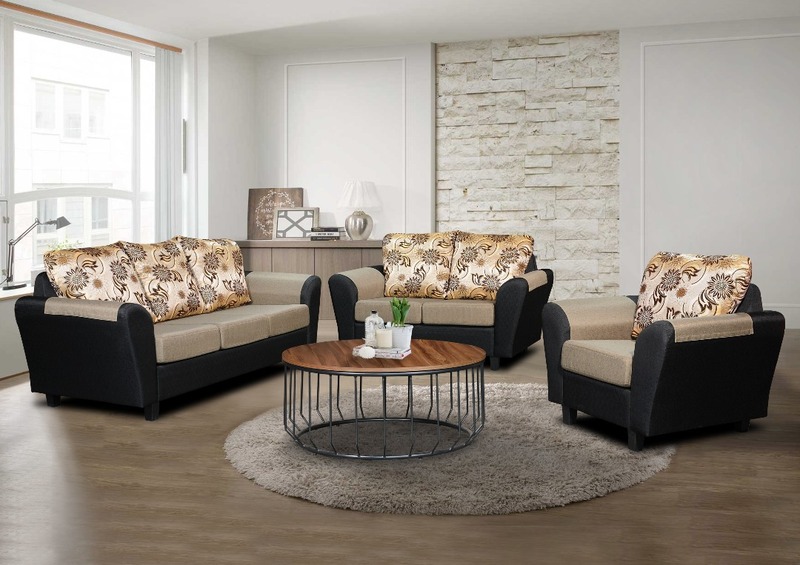 Mahogany Sofa Set, Coffee Table and Side Table. 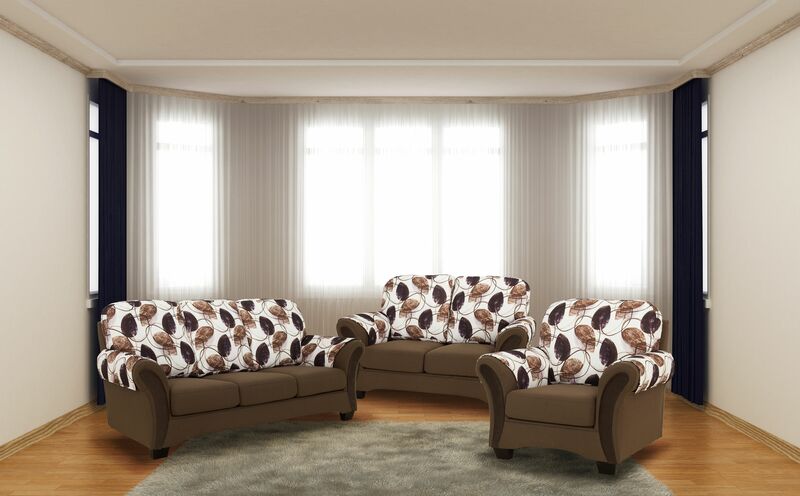 Full Fabric Sofa Set with 2 Small Pillow. 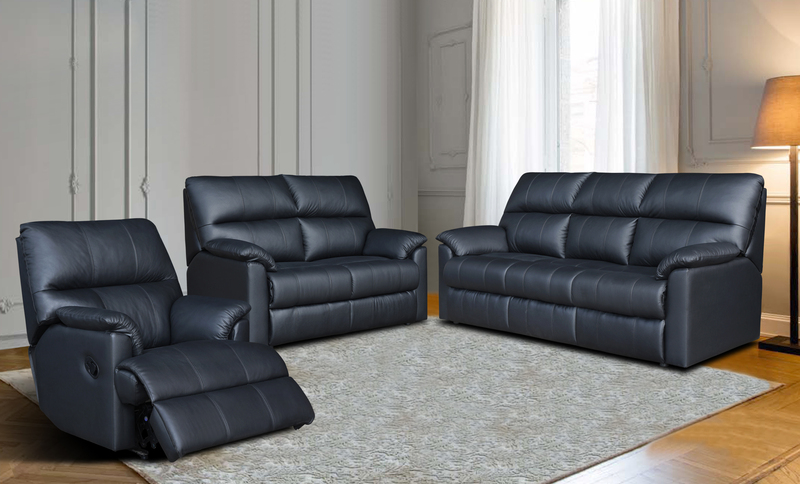 Dimension :L950(1), L1430(2), L1910(3) x D880 x T850. Dimension: L900(1), L1370(2), L1880(3) x D800 x T840. 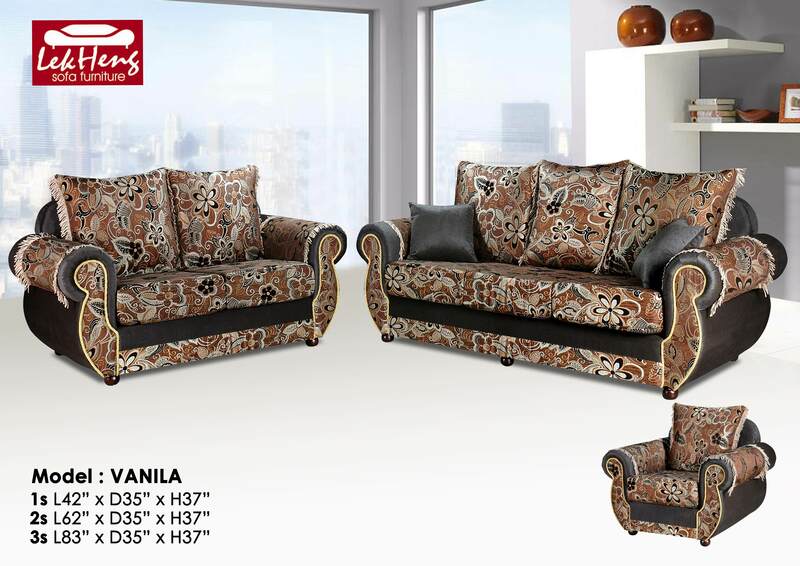 Material : Solid Wood Frame, Jacquard,Polyester Fabric & PVC Leather. 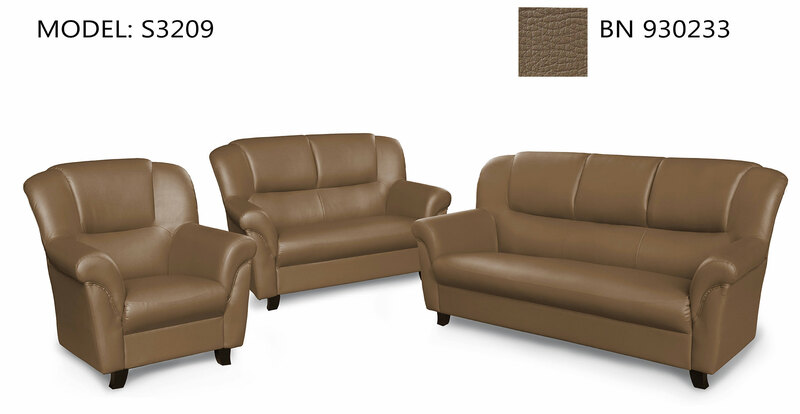 Dimension :L980(1), L1430(2), L1910(3) x D850 x T880. 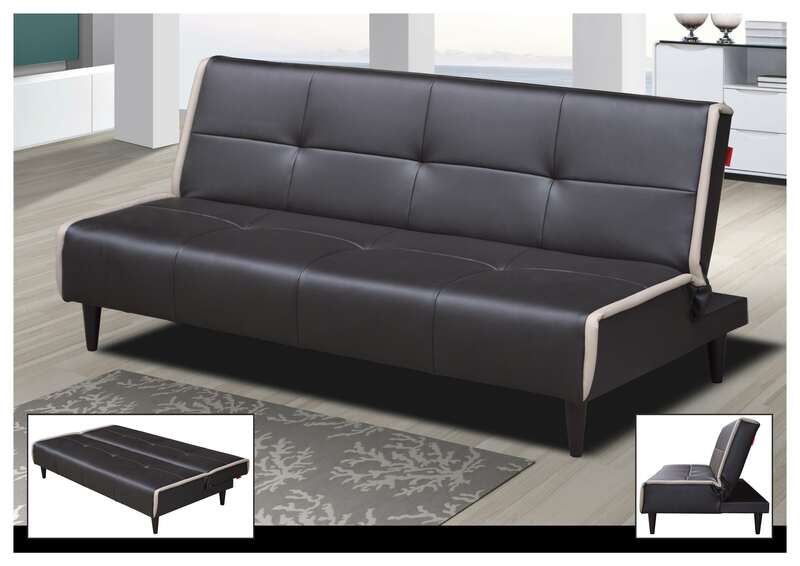 Mahogany Sofa Set and Coffee Table. Dimension: L940(1), L1422(2), L1930(3) x D819 x T914. 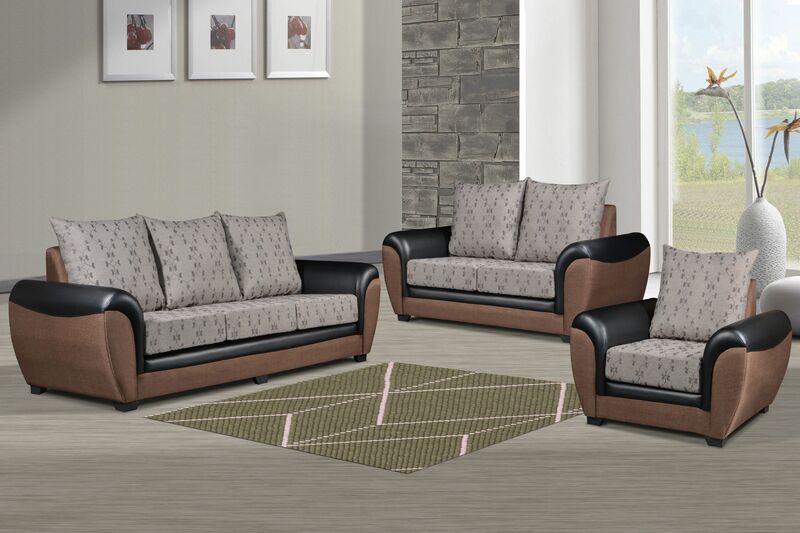 Colour : Walnut & Black. 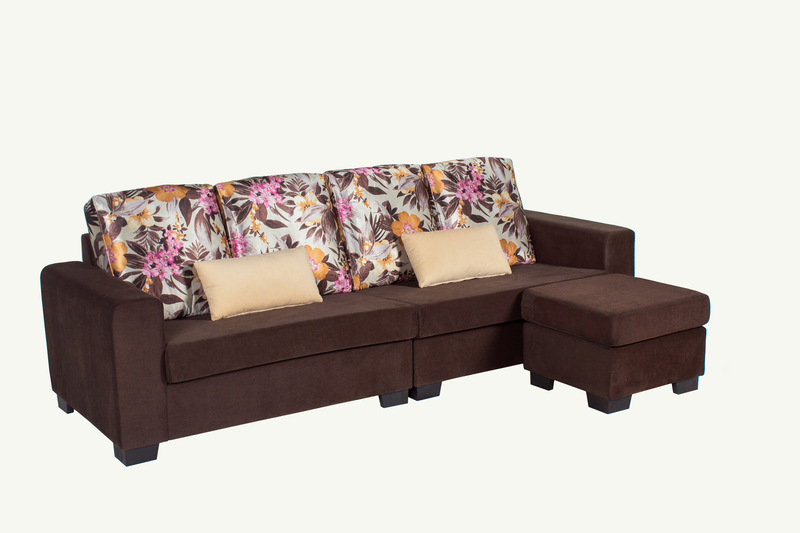 Material : Solid Wood Frame, Jacquard &Polyester Fabric. Dimension: L810(1), L1360(2), L1930(3) x D860 x T880. Dimension : L1041(1), L1549(2), L2057(3) x D813 x T914. 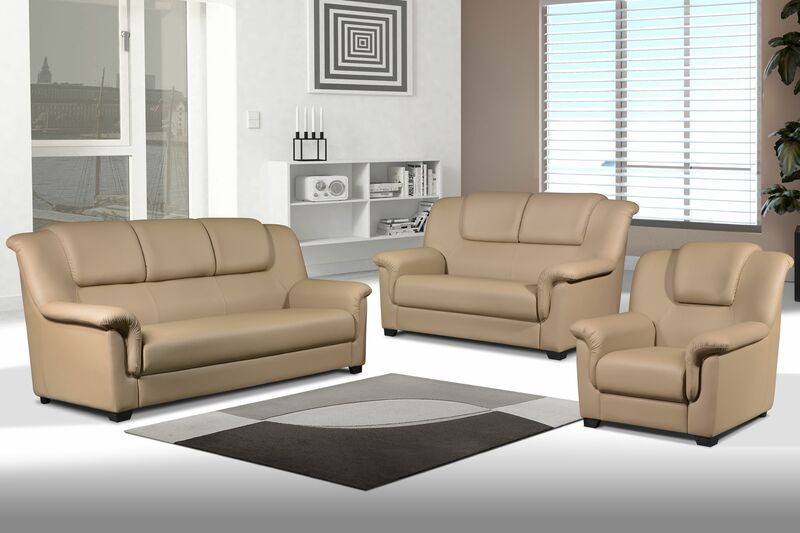 We are pleased to announce our new set of Half Leather Sofa, Rome of 1+2 Seater, 1+3 Seater, and 1+2+3 Seater. 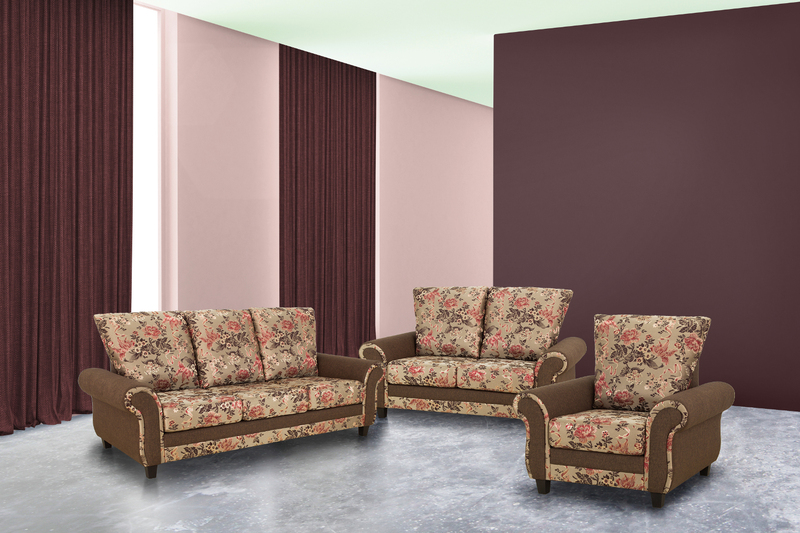 We also provide selection with individual item which are 1 Seater, 2 Seater & 3 Seater. 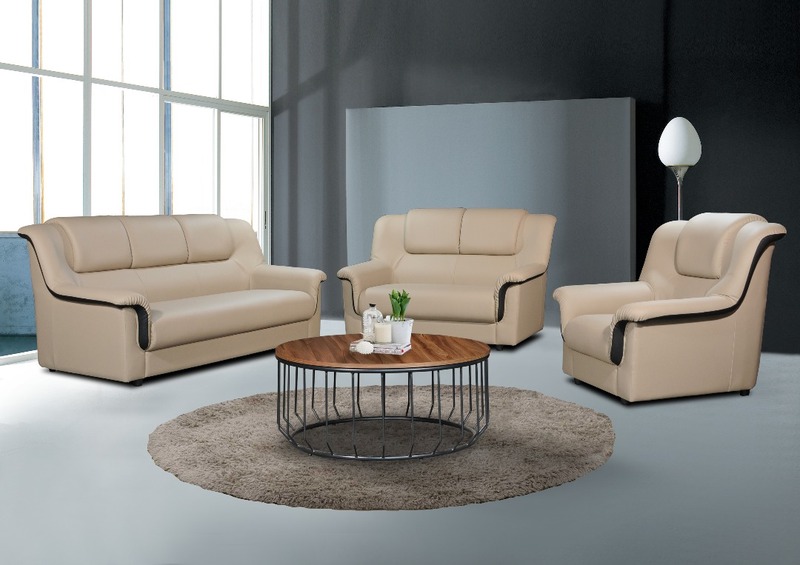 Our purpose is to give you more option to select sofa combination base on your budget and living room space. Dimension:L965(1), L1524(2), L2083(3) x D915 x T712. Dimension :L835 (1), L1419(2), L2003(3) x D925 x T1010. Dimension :L930 (1), L1300(2), L2040(3) x D900 x T1040. 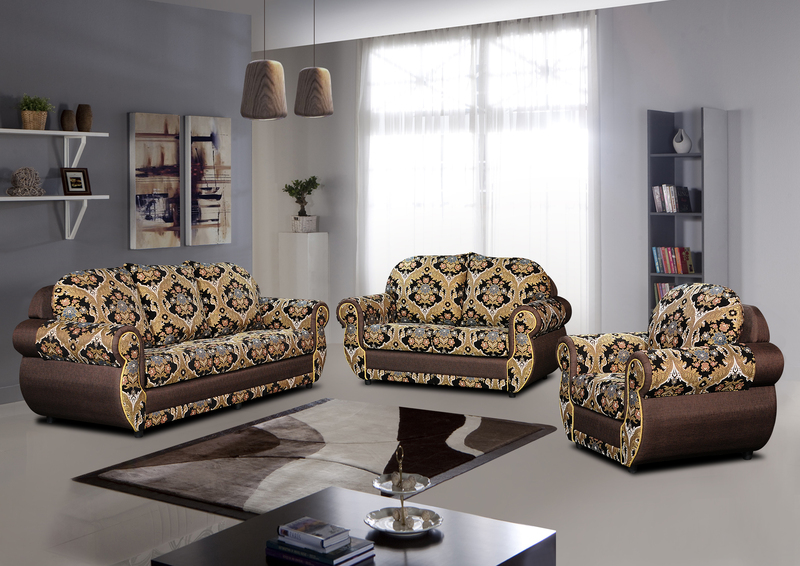 Sofa Set Fabric (Poliester) L Shape. Dimension : L1803 x D838 x T914. 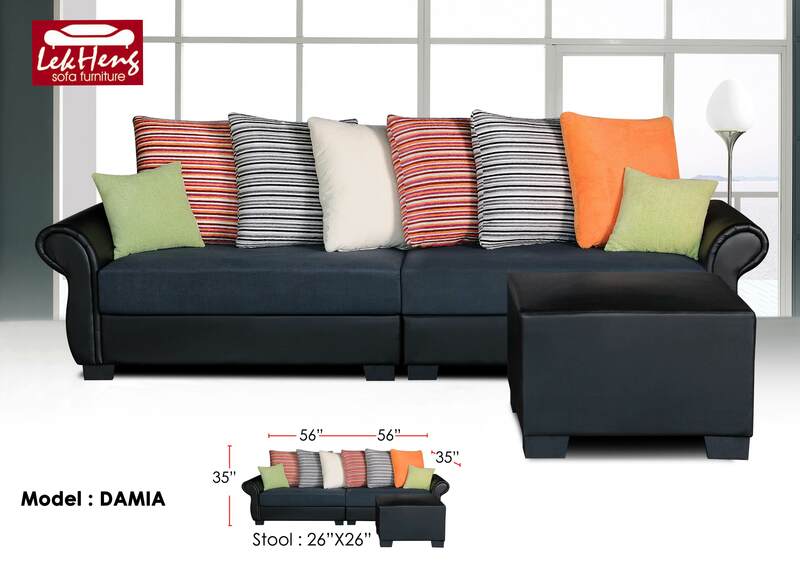 Stool : L711x D647 x T431. Dimension :L1140(1), L1600(2), L2100(3) x D960 x T960. Dimension: L1140(1), L1600(2), L2100(3) x D960 x T960.